Tour Guide: See Antarctica in 12 Hours? Want a quick way to check the seventh continent off your must-see list? An Australian company offers a 12-hour sightseeing flights of Antarctica. 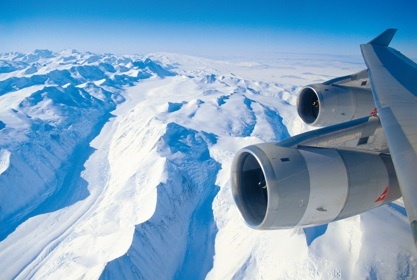 Since 1994, Croydon Travel (in conjunction with Qantas) has been taking tourists on air tours of the icy South Pole. During the flight (three hours getting to the ice, four hours over the ice, and the remaining time returning to departure cities Melbourne or Sydney), Antarctic experts talk about the history and environment of the continent and answer passenger questions. The price? Seats start at $999 each. That's a lot cheaper than any cruise to the area. But of course, there are catches. Like any large aircraft, there are middle seats. While passengers on this Qantas 747-400 are assigned two seats—people in most of the cabins will get to rotate during the flight to give everyone a chance at a window seat—those paying $999 only pay for a middle seat and do not get to participate in the seating rotation. During the time over the ice, all passengers are allowed to get up to look out the windows, but, if you're like me, if I'm paying $999 for a view of the Antarctic, I don't want to miss a minute of it. The next type of seat offered (Economy Class Standard) goes for $1399. Ouch. And that doesn't even factor in the amount of C02 you're pumping out into the atmosphere as you're on board the flight. 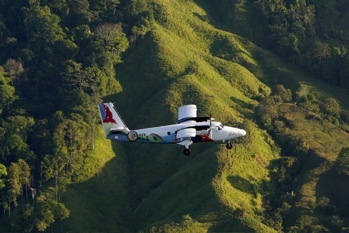 Conservation International's carbon offset calculator estimates you're responsible for 3.1 tons of C02 for the flight. Eh. I'm with Gadling on this one. For a couple grand (plus the cost of a flight to Australia), I'd much rather save the money to take a sustainably-minded cruise instead. Earlier this summer, I stumbled upon a quiet mountain getaway that caters to those who love to travel with their beloved pooch, a peaceful cabin with more dog-friendly amenities than most Marriotts have for their human guests. 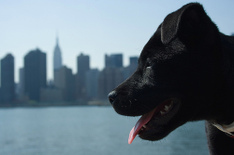 But if that sort of vacation seems like barking up the wrong tree for you and your pet, here’s another option: Take in the sights and bright lights of the Big Apple together with New York Dog Tours. The company offers different tour routes in three key NYC areas, hitting up all the “hot” dog spots along the way. On the Midtown tour, for example, one of the stops is at Madison Square Park’s legendary Shake Shack, famed for its burgers, hot dogs, and Purple Cow shake. For your furry friend, order the Pooch-ini, vanilla custard with peanut butter and a delectable dog treat on top. This route goes well beyond burger stands though, as a guide will take you to places like the New York Public Library, the Empire State Building, and Madame Tussauds House of Wax (though sorry, no pets are allowed inside). The Central Park tour sidesteps such dog discrimination, however. This route remains mostly outdoors, taking you past famed park monuments, such as the Belvedere Castle and Tavern on the Green, while your guide spouts off little-known stories behind the landmarks. The tour starts talking your dog’s language upon reaching the famous Gray’s Papaya, revered for its hot dog perfection. The final dog-walking tour takes you through downtown New York, searching for perfect views of Ellis Island and the Statue of Liberty, as well as the iconic SoHo restaurant Bubby's Pie Co. These two-hour weekly tours cost $30, and begin at 3 and 6 p.m. on varying days. Photo: via Carl Derrick's Flickr. Former Traveler intern Catherine Pearson is on her way to explore Australia, but she stopped off for ten days in Oahu, Hawaii on the way. We're not going to suggest it was only for the purpose of taking the Lost TV Tour—no, she's not nearly that obsessed . . . Recognize this beach? It's the crash site in the pilot episode of Lost. 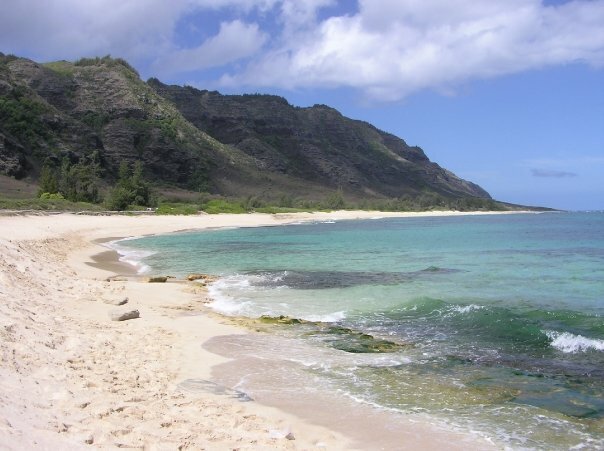 As if Hawaii didn't have enough reasons to visit, Oahu offers one more: the Lost TV Tour. I was at a wedding in Honolulu when I heard about the chance to see where they film my favorite show, so I booked the next available slot. Big Kahuna Hawaii gives options ranging from two-hour off-road adventures to exclusive private party tours. I chose Hawaiian Escapades' regular Lost TV tour, eight hours of scene-spotting, hiking, and swimming with a vanful of fellow Lost fanatics from around the world. Our crew hailed from Macedonia, Saudi Arabia, and the mainland U.S.
As soon as all 12 of us had squeezed in the vehicle, our guide gave us the good news: The Losties are going back to the island. And the bad news: They won't need their tents anymore. So, the crew has taken them down, a major disappointment for tour-goers. "We come for the tents only!" one of the Macedonians said and jokingly demanded a discount. It didn't help when the list of what we wouldn't see grew. The polar bear was computer-generated, as were the palm trees on the Waianae mountains (the range shown from a distance on the island). The hatch was stored away as a prop and the Others' pier was on the other side of the island, too far for our eight-hour trek. But what our tour lacked in tents, it made up for in conversation. Stories of cast sightings, guesses at filming dates, and analysis of Sayid and Jin's dismal attempts to speak Arabic and Korean, respectively, filled the drive time. We glanced out the window to see Hawaii's glass-walled convention center, or "the Sydney Airport," on our way to Mokuleia beach, "the crash site." Appearing much more narrow than usual, the beach resumes its familiar width when the concrete barriers are gone and sand covers the road. The plane wreckage, the crashed plane where Boone meets his demise, and stacks of the Losties luggage are stored behind a chain-link fence down the road at a later stop. Rafting on the River Salmon: Where Are the Fish? Last week, Traveler senior editor and resident tours expert Norie Quintos wrote about her sea kayaking tour in British Columbia. 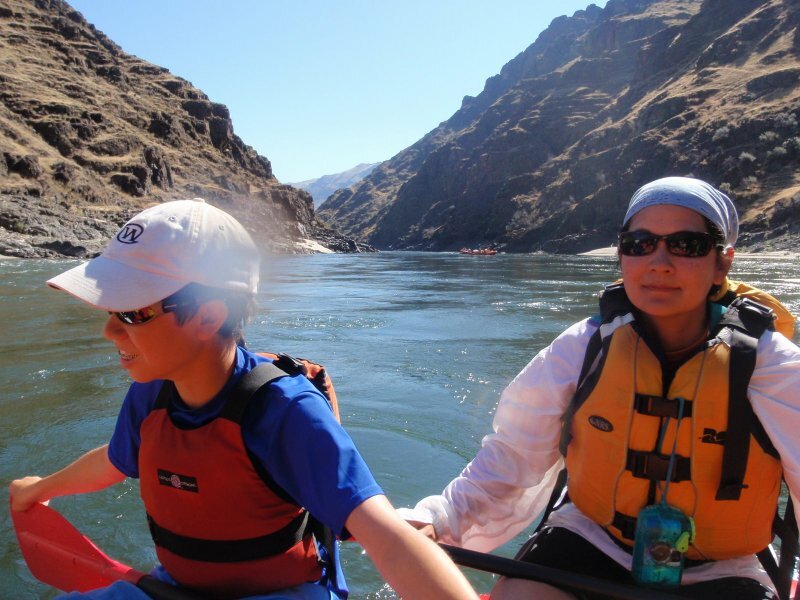 This week, she writes about rafting the Lower Salmon River in Idaho. And tune in next week when she shares tips on great family vacations. My family likes salmon. We like it sautéed, roasted, poached, and grilled. I prefer to buy the wild kind (farmed fish contain higher levels of PCBs and fish farms have been implicated in contamination of the ecosystems they reside in) but with the slowing economy whatever is on sale usually rules the day. But I can't say we really cared about salmon. Then came our five-day family rafting trip on the Lower Salmon earlier this month with ROW Adventures, an outfitter based in Couer d'Alene, Idaho. We never quite realized it, but in the midst of all the fun we were having, we were getting quite an education. This month's issue of Traveler offers up some of the most authentic offerings found in Rome. And writer and Traveler reader Emilie C. Harting sends over her own favorite pick for exploring the city. Walk this way in Rome. Do you know how to avoid the 2-3 hour lines for such treasures as Vatican City with its Museum, Sistine Chapel, and St. Peter’s, or the Colosseum with its adjacent Palatine Hill and Roman Forum? Or find quiet little alleyways that empty into such favorite, but ever so crowded sites as the Pantheon, Spanish Steps, Trevi Fountain, and Piazza Navona? Answer: Rome’s Presto Tours expose the secrets to this remarkable city, which was begun over 2,000 years ago and keeps rebuilding itself with the same stones. I took four of Presto’s three-hour Rome tours recently and found the guides knowledgeable, personable, and entertaining. At Vatican City and on the Roman Forum and Colosseum walk, I saw literally ten times more than I had on a previous trip. On a tour of Trastevere, one of the most cosmopolitan of Rome’s neighborhoods, our guide recommended cafés on narrow streets leading out from a square with buildings dating back to A.D. 400. On the Rome City Tour we walked through the major squares at night—the lights shone on the facades of buildings and the sculptures in the fountains. At the end I traced our steps on a city map. We’d had a geography lesson on central Rome: ever so useful for returning to spots we’d passed on the way. Most important, I explored the city while enjoying the camaraderie of others in a small group. 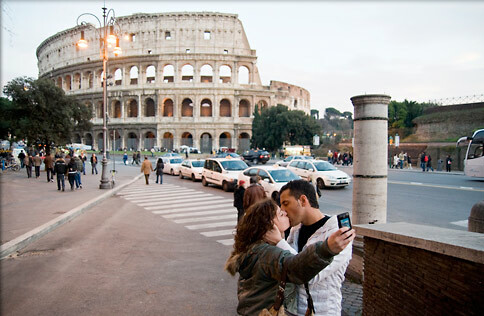 Photo: Bob Krist for National Geographic Traveler's Authentic Rome cover story. In our May/June issue of Traveler, contributing editor Margaret Loftus introduced us to 50 amazing Tours of a Lifetime, splitting them up into three categories: Classic, Cultural, and Adventure. But lo and behold, there are subsets within the categories that we find equally interesting, so we've collected the most Family-friendly trips here for you. Like an ellipsis on the west coast of Arctic Norway, the Lofoten archipelago is a series of rocky mountains, sheltered inlets, and stretches of unspoiled seashore. 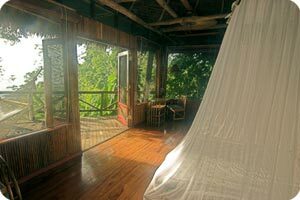 Paddle and hike by day, returning at night to renovated fishing cabins called rorbuer. You can also try your hand at rowing a Viking ship. 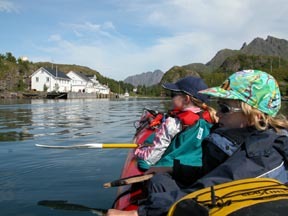 Crossing Latitudes: “Lofoten Multi-Adventure, Norway,” summer; 8 days; $3,000. The hardy islanders of Sardinia have preserved much of their folklore, language, and cuisine, making their island a living diorama of Mediterranean country life, which unfolds as you bike this ancient landscape. Discover the nuraghi (prehistoric rock towers) built to protect villages; share lunch with local shepherds; learn how to make pane frattau, a dish made with traditional flatbread; and swim off pristine beaches on this multisport adventure. Ciclismo Classico: “Sardegna Multi-Sport Adventure, Italy,” summer; 8 days; $3,795. From a daylong cooking class in the Nonthaburi home of a Thai cook to a three-day stay at the Highland Farm and Gibbon Sanctuary in Tak Province to an overnight in the home of a hill-tribe family in Ahka village, Absolute Travel has drawn from its nearly 20 years of experience in Thailand to craft this itinerary full of interaction with local people. 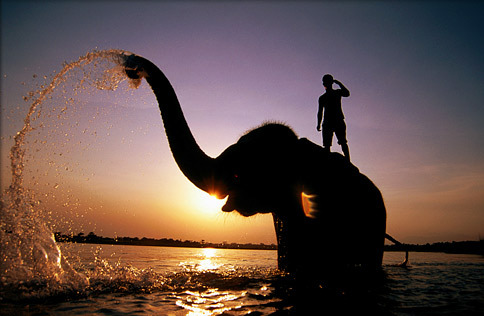 Absolute Travel: “Family Vacation, Thailand,” 14 days; $5,980. The musical history of New York is vast and varied, but perhaps one of the most fascinating facets is hip-hop, which emerged from the Bronx in the 1970s. The mix of beats and spoken word evolved from West African and Jamaican rhythms to become the international juggernaut that it is today, but its humble beginnings are cited as starting in a rec room in the Bronx. The story goes that DJ Kool Herc was working his sister's party at 1520 Sedgwick Avenue when he began to mix records and beats, calling out to his friends and extending portions of songs to encourage the partygoers freestyle dancing. His new style quickly caught on, and the rest is hip-hop history. Today, Herc is working to protect the building where hip-hop was born. The Washington Post recently reported that building's current owner is looking to sell to a high-profile investor, and community members are fundraising in an effort to buy the building themselves. If you want to see 1520 Sedgwick and more of hip-hop's major landmarks, check out Hush Tours. The tour company's mission is to "preserve the roots of hip-hop culture" while offering guests a "family friendly opportunity to revisit present day history." 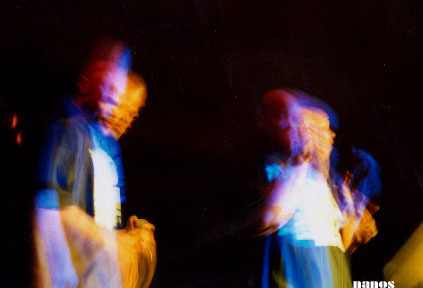 They have several offerings to choose from, like their Pioneers: Harlem/Boogie Down Bronx tour, which features emcee guides from the Furious Five and Crash Crew. The impresarios lead groups through midtown Manhattan, Harlem, and the Bronx, pointing out "historic clubs, battle sites, video locations, and parks where hip-hop took its first baby steps." Or go with the Walk This Way tour to explore Harlem's record stores, the Apollo Theater, and the terrific (and oft-overlooked) Museum of the City of New York. Their new Rapper's Row tour of Queens takes you through the neighborhoods where superstars like Nas, Run-DMC, LL Cool J, and 50 Cent grew up. Back then, we believe Mr. Cent was known by the nickname Nickel*. *OK we're kidding, but take the tour for the real trivia tidbits. If there's anything I miss the most about living on the West Coast, it's the mountains. Sure, D.C.'s got the nearby Appalachians (I visit Shenandoah National Park as often as possible in summer), but there's nothing like looking out your Pacific Northwest window and seeing snow-capped peaks in every direction (Seattle is blessed with the Olympics to the west and the Cascades to the east). 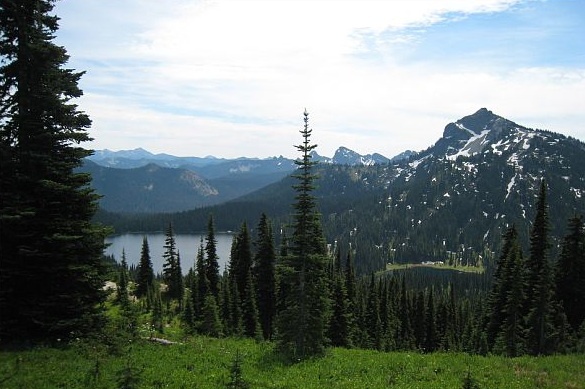 The American Hiking Society has a solution for folks like me who live in a city where the mountains aren't quite at your doorstep. The AHS offers weeklong Volunteer Vacations in 25 states (and even the Virgin Islands) from February through November every year, for hiking gurus, beginners, and everyone in between who are capable of doing trail maintenance. Best of all, their website allows you to search for the volunteer tour that might work best for you. Just select your state, difficulty level, what kind of accommodation you prefer (even the avid backpacker likes a comfortable cabin every once in a while), and age range (from family friendly to 21+). Tours of a Lifetime: On Sale! Looking for a deal on a tour? How soon can you leave? Senior editor Norie Quintos, the magazine’s resident tour expert, says, “Now is a good time to find bargains on summer tours because some outfitters still have openings for their May and June departures, which typically are not as popular as departures later in the summer.” We queried outfitters from our Tours of a Lifetime list to see what discounts they had to offer, and here is the best of the lot. And check out Norie's other tips on how to stretch your dollar when booking tours. Micato Safaris—"An extravagant safari with an emphasis on activities for tots and teens," says Traveler's contributing editor Margaret Loftus—has crafted a special offer exclusively for Traveler readers who book the "Family to Family Safari, Kenya and Tanzania" [download brochure] featured in our current Tours of a Lifetime issue. When travelers book the safari before May 30, each child on safari will receive Micato Safaris' children's safari backpack, complete with safari-themed games, wildlife viewing checklists, and African kids' toys. Especially cool, we think, is the fact that kids also have the chance to become pen pals with children living in Kenya before they travel—meaning they can share stories, customs, drawings, and plans for their upcoming adventure. To book the offer, mention code MSNG508. Travel must be completed by December 31, 2009. Check out G.A.P. Adventures's specials page for discounts up to 20 percent off a dozen of their global offerings. Maris Freighter & Specialty Cruises lists monthly news and special discounts on their website's "News & Specials" link on the left column of the screen. Click on "June 2008," to find the "Along the Americas' Coasts" voyage to South America, which is highlighted in the current issue of Traveler. "This is the cruise for passengers who have the time—and temperament—to sail long voyages," writes Loftus. Check out Deals on Active and Cultural Tours after the jump.